Internationally acclaimed performer, Rajeev Taranath is today one of the leading exponents of the Sarod. Hailed a prodigy in Hindustani vocal music, he had been earlier trained by his father Pandit Taranath and other eminent musicians. He was a concert and radio artist before he was twenty. He has also received guidance from Pandit Ravi Shankar and Shrimati Annapurna Devi. He is the recipient of the Indian Government's highest award in the arts, the Sangeet Natak Academi Award for 1999-2000. Grandson of Padmabhushan Ut. Nissar Hussain Khan, Ghulam Niyaz Khan is a young promising vocalist carrying forward the Sehaswan Gharana. With complete dedication and clear goals he started his sangeet sadhana. He has been finely trained by his guru to be a sensitive artist by nature. Tarana is his specialty like his guruji. Ghulam Niyaz is a scholar of Sangeet Research Academy and has performed at various prestigious locations in major cities. Meera Prasad was initiated into the world of music very early in life and received her initial training from the famous ‘Beenkar’ Ustad Ahmad Raza Khan. For the past thirty years she has had the privilege of learning from the legendry Sitar maestro, the late Pt. Uma Shankar Misra of the Senia gharana. Her years of sadhana have paid rich dividends as today she is considered one of the top exponents of Sitar in the country. Born into a family where music has been the mainstay for the last seven generations, Jayanthi started playing the Veena when she was barely 3. Jayanthi is the disciple of her maternal aunt Smt. Padmavathy Ananthagopalan and Veena Maestro Dr.S.Balachander. Her maternal uncle, the Violin Legend Lalgudi Sri. Jayaraman is a great influence and inspiration for her. Apart from solo performances, Jayanthi has performed several jugalbandhis and has also collaborated with musicians from other types of music in her own World music band called Indian Spice. Arshad Ali is one of the few prodigies to live up to their initial promise. 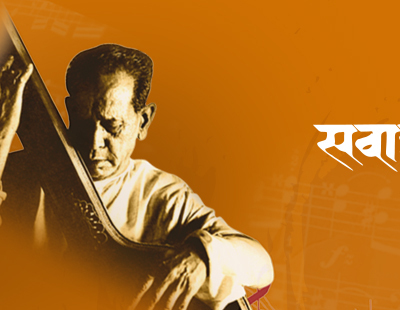 Born in the Kirana gharana, he has been fortunate to receive taleem from his maternal uncles, Ustad Mashkoor Ali Khan and Ustad Mubarak Ali Khan. He is the grandson of the great sarangi maestro late Padmashree Ustad Shakoor Khan Saheb.